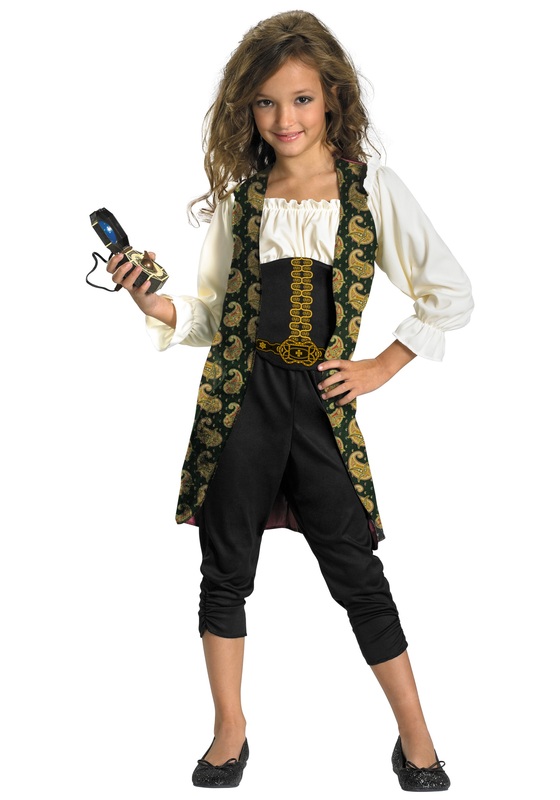 This licensed Girls Angelica Pirate Costume is from the movie Pirates of the Caribbean: On Stranger Tides! The ensemble includes cropped pants and a shirt/vest/corset combo. Add some of our Pirates of the Caribbean accessories, like an Angelica hat or necklace for an especially realistic look from the popular movies!